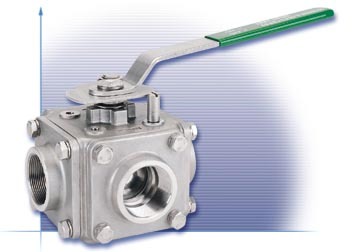 The 505F is a true multi-way ball valve with balanced 4-seat construction. This full port valve is available in a variety of flow plans which can replace multiple 2-way valves in a process system. A standard ISO 5211 pattern mounting pad allows for easy assembly of pneumatic and electric actuators.